After feeling like I was working on too many things and getting nowhere, I’ve reached the point that projects are coming together. 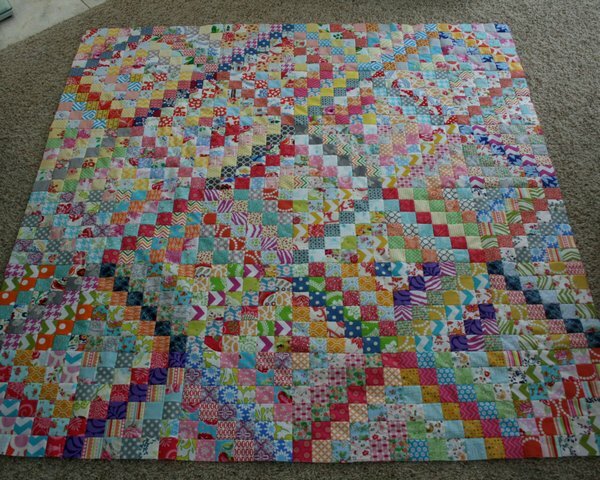 My Scrappy Trip-Along quilt top is finished! I finished the last 12 blocks early Saturday morning. I love seeing it draped over my sewing chair. All the bright colors bring a smile to my face. What a perfect project for winter! 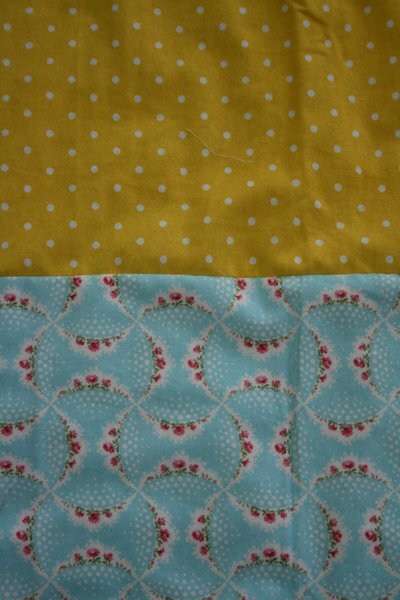 After rifling through my cotton prints for a backing I liked and finding nothing, I went through my flannel fabrics and found these two prints, both with enough yardage to make a backing. Use it or lose it! Last night I sewed them together and now I need to find time to baste it. 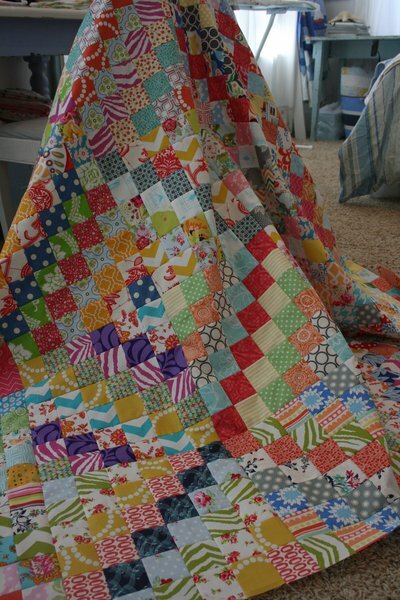 I’m really excited to finish this quilt. 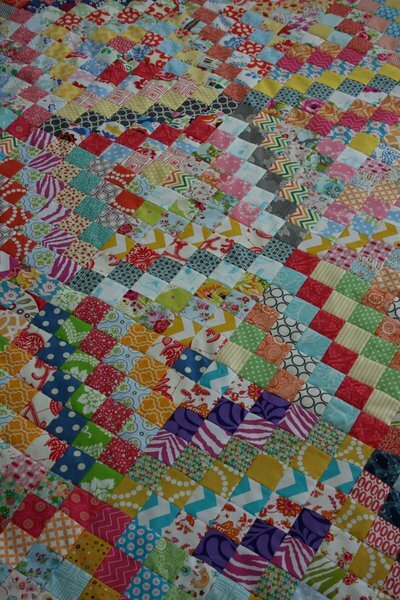 My Scrappy Swoon quilt is also making me smile. It’s quilted and the binding is almost finished. 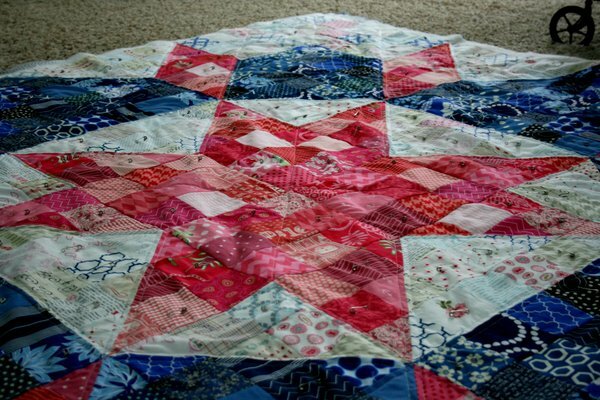 It’s always a relief when you discover that you do like your quilt after doubting in the middle of the project. 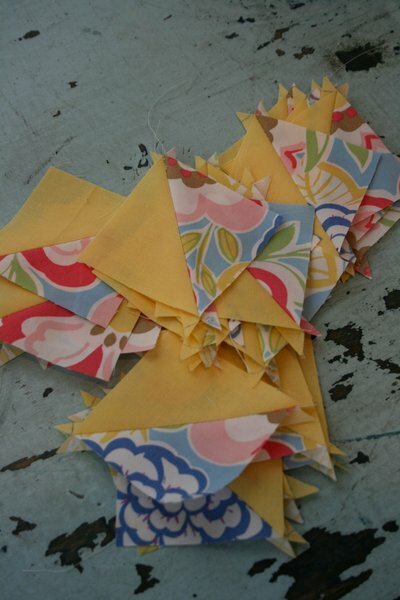 Once these are finished I need to get going on some projects I started but haven’t touched in a few weeks, like these lonely little HST squares. I love your almost finished projects!